Please click to watch 90-second video. I have spoken and taught around the world in corporate, spiritual and academic settings. I stand ready to bring my heart, mind and wealth of experience to help you get your messages across to your key constituents, whether through one-to-one coaching or through a keynote address to hundreds. My dissertation, The Intersection of Leadership and Spirituality: A Qualitative Study Exploring the Thinking and Behavioral Attributes of Leaders Who Identify as Spiritual, is now available here. Found in virtually every culture for thousands of years, the labyrinth is a meditative tool allowing people to connect with the earth, themselves and their unique interpretation of a higher power. Where the purpose of a maze is to confuse and challenge the walker, there is only one way in and one way out of the labyrinth. Those walking the labyrinth can enter with a question, an intention or an open mind and there is no wrong way to walk it. Some choose a slow, meditative pace, some move briskly, some dance and some are assisted with wheelchairs. 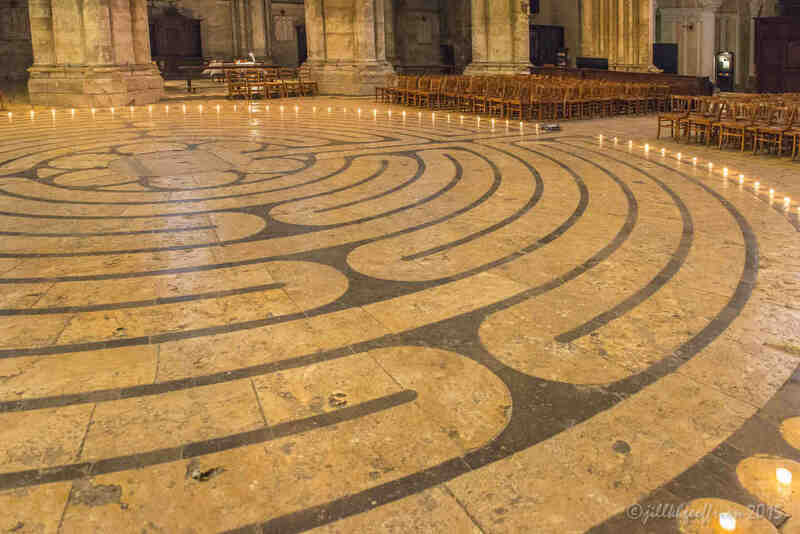 After having a mystical experience in 2009 at the Chartres Cathedral in France, I attended a training offered by Veriditas, an organization dedicated to preserving and creating laybrinths around the world, and became a certified labyrinth facilitator. The labyrinth remains an important part of my personal spiritual practice and i am honored to be able to share the wisdom and history of this amazing tool and offer labyrinth walks in varied settings around the world. You came to Kansas City and gave our staff a seminar in Emergenetics...That exercise and feedback has truly become a valued asset for our agency! A great big Thank You to Rev. David Goldberg for speaking at CSL Denver yesterday for Palm Sunday. We had a wonderful turnout of people to come hear his talk. A great time was had by all (I hope). And thank you also to Rev. David for bringing extra copies of the SOM magazine for us to give out. Great Day!! I asked the Creator "how can I be a light in my now world?" I was directed to a spiritual source that guided me, a stranger, not only through the process and design of publication but the force and spiritual teammate needed for publication May you be most blessed. I have just read your review [of our book] and am now weeping silently due to your words touching my heart so deeply..you have described the book in terms of what we had as our clear and true intentions...you are such a brilliant professional and writer, that your words mean all the more.